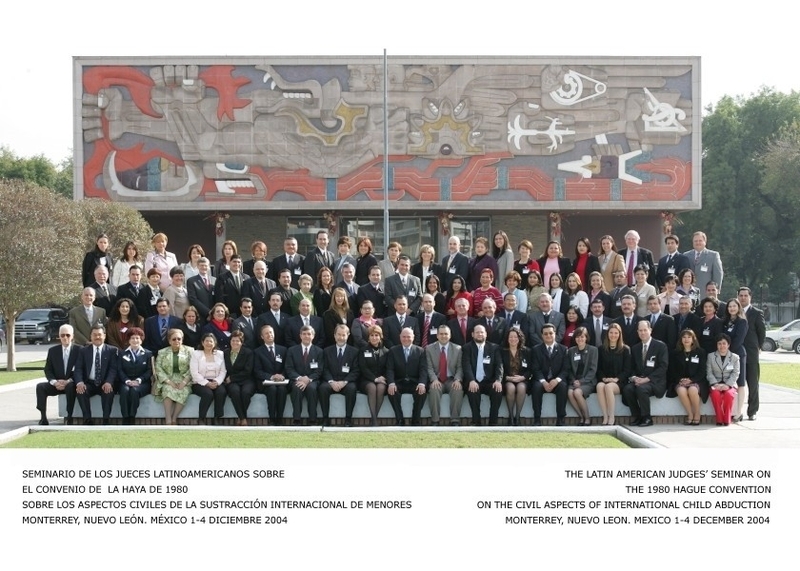 A Latin American Judges' Seminar is being held at Monterrey (Mexico) from 2-4 December 2004 under the auspices of the Hague Conference on Private International Law. Judges and other authorities from Argentina, Belize, Brazil, Canada, Chile, Colombia, Costa Rica, the Dominican Republic, Ecuador, El Salvador, Guatemala, Mexico, Nicaragua, Panama, Paraguay, Peru, Spain, the United States, Uruguay and Venezuela will be meeting to discuss hypothetical cases and a number of themes related to the Hague Child Abduction Convention. Click here to read the Conclusions of the Monterrey Seminar. A Spanish version of the Conclusions is also available.